Ralph Lauren introduced Polo Crest in 1991. It is classified as a sharp, woody, arid fragrance. This masculine scent possesses a blend of basil, jasmine, oak and vetiver. 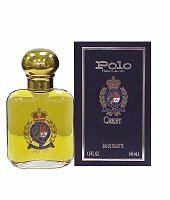 Polo Crest is recommended for daytime use.